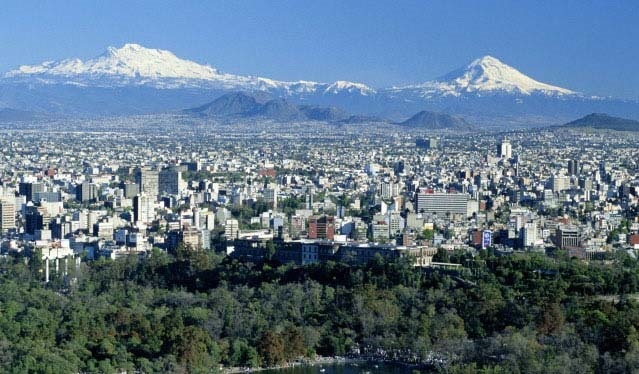 Mexico's capital city is Mexico City. 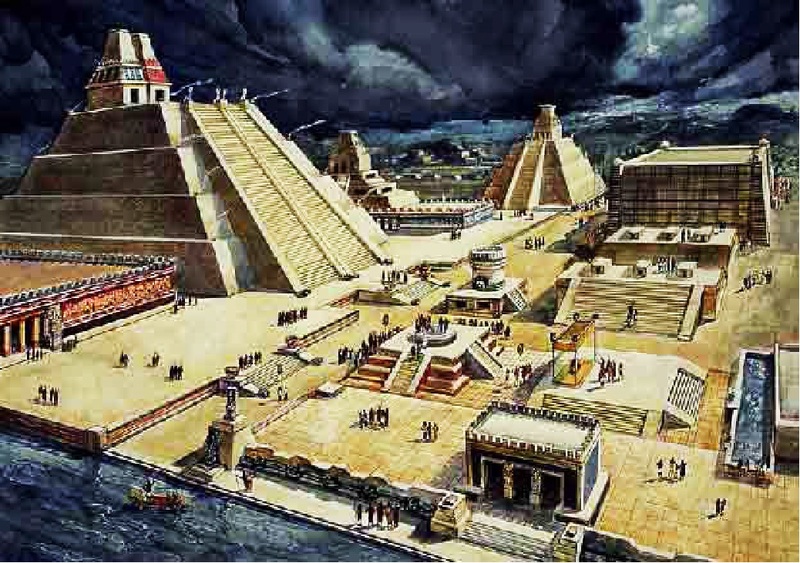 A long time ago Mexico City was the center of the Aztec Empire. Today Mexico City has many interesting modern buildings. 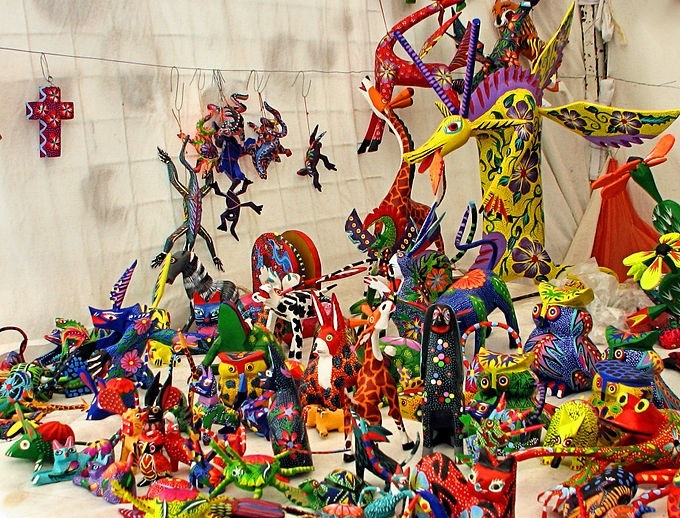 One famous type of art from central Mexico is called Alebrije. They are colorful paper mâché make-believe animals. These are popular souvenirs and decorations. 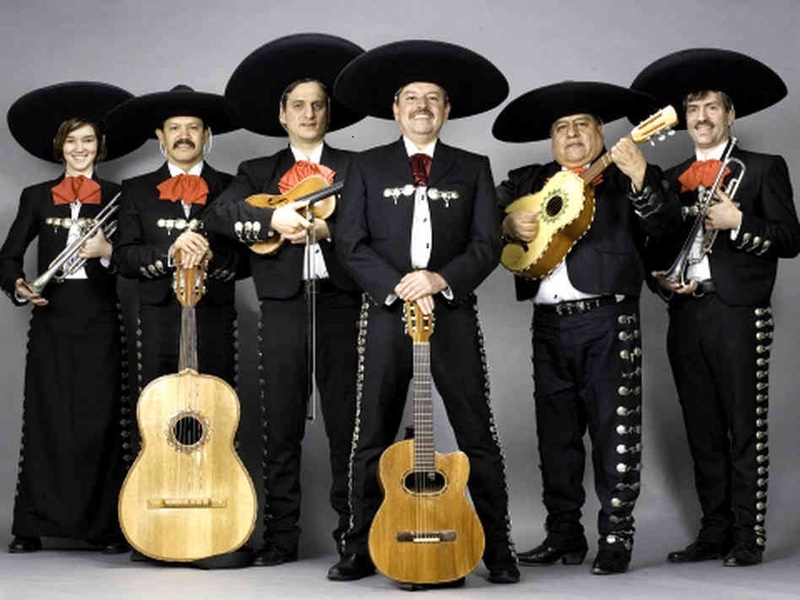 Perhaps Mexico's most famous type of music is called Mariachi. Mexico's president is Peña Nieto. Explore the ancient Pyramids in a part of Mexico called Teotihuacan. This video gives you a picture of what modern Mexico City looks like. 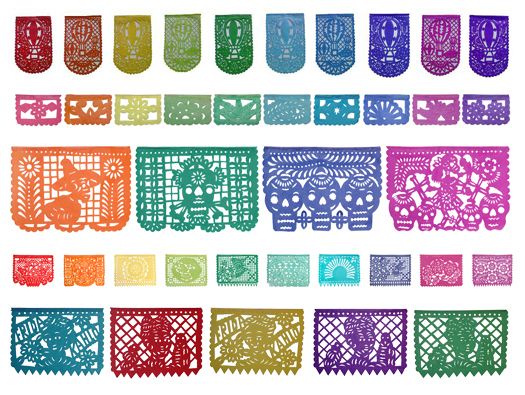 Another famous type of art is Papel Picado, which literally means "picked-apart paper." These colorful banners are used for decorations at fiestas. Listen in to a Mariachi band in Plaza Garibaldi in Mexico City.